It is with sadness we announce the peaceful passing our loving mother, Marian Lambe (Sing) originally of Liverpool, England and residing in St. John’s, Newfoundland, at home on Saturday, October 6, 2018. Marian is predeceased by her parents Patrick and Veronica (Rowan) Sing and survived by her children Dale (Kelli), Sherrie (Andy) O’Doyle, Jason (Janelle), sisters Rose Pittman, Jane (Bob) Pike, Sharon (Laurence) McMullan, Lita, brother Martin (Rosalind) and her wonderful grandchildren Julia, Elliott, Jackson and Anna along with many other family and friends. 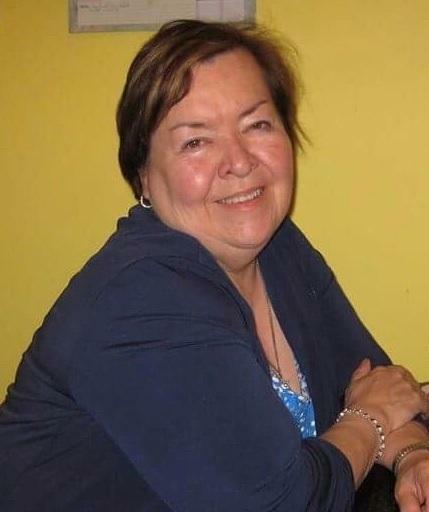 Visitation took place at Caul’s Funeral Home, 84 LeMarchant Road on Tuesday from 3:30 p.m. – 5 p.m. 6 p.m. – 9 p.m. Funeral Mass was held on Wednesday, October 10, 2018 at 11:30 a.m. from Mary Queen of Peace Church. Interment followed at Holy Sepulchre Cemetery. Flowers gratefully accepted, or donations may be made in her memory to The Stella Burry Foundation.